The adult human brain is surprisingly malleable; it can rewire itself and even grow new cells (neurogenesis). Our behaviour and environment can cause substantial rewiring of the brain or a reorganisation of its functions and where they are located. One of the most active regions for neurogenesis is the hippocampus, a structure that is vitally important for learning and long-term memory. However, the brain, just like other parts of our body, needs to be nurtured and looked after if it is to reach its full potential. So how can we improve our own brain function? What can we do to maximise our intellectual capacity? 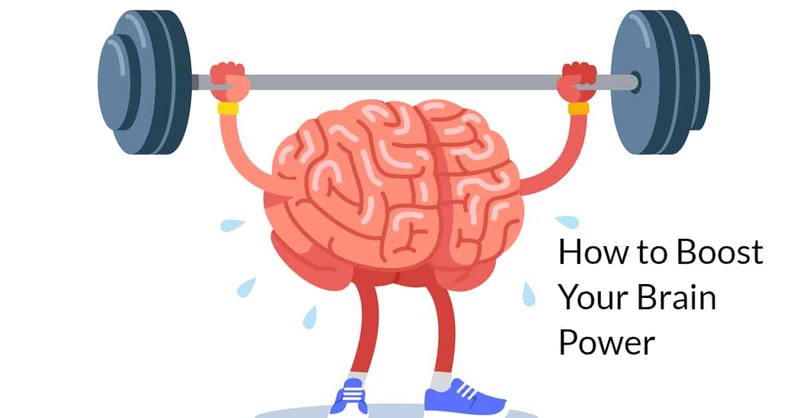 Studies, like those led by Stanford psychology professor Carol Dweck, have shown that a growth mindset is key to improving our cognitive performance. In other words, believing that intelligence is innate and not something we can change, is detrimental to our learning abilities, resulting in a self-reinforcing feedback loop. This result is particularly important at early ages, although it stays with us through adulthood. Followers of these studies emphasize the importance of praising young learners in ways that frame intelligence as something earned and practiced rather than something innate. For example, I try to remember to tell my child “great job! You worked hard at that!” instead of “you are so smart!” when she accomplishes something clever. Unfortunately, the jury is still out on whether playing games like crossword puzzles or Sudoku can make you smarter. However, solving crossword puzzles will make you better at…well, solving crossword puzzles. Although the exact mechanisms at work to improve cognitive performance through repeated practice are still an active area of study, there is no doubt that practice plays a crucial role in learning new skills. However, more evidence is needed before we can be sure that mastery of trained skills translates to untrained skills, or in other words, whether mastering online brain training games will help improve your cognitive abilities elsewhere. There is a well-established link between brain function and gut hormones derived from the foods we eat. There is also a wealth of research attempting to link certain foods with cognitive ability, many focused on the impact of eating certain foods on the risk of dementia. Although the results in many cases are still mixed, there appear to be positive links between lowering risk of dementia and certain flavonoids or nuts rich in antioxidants, omega-3 fatty acids from fish, and caffeine. Exercise increases blood flow to the brain, which also increases the delivery of oxygen, fuel and nutrients to those hard-working neurons. It increases the levels of a substance called brain-derived neurotrophic factor (BDNF), which encourages growth, communication and survival of neurons. It also improves sleep quality and immune function. Studies have shown that as little as 20 minutes of walking a day can do the trick. As an added bonus, listening to music while exercising has been shown to improve mood and verbal skills above what just exercise alone did. We are consistently advised to sleep more hours at night to improve many aspects of our physical and mental health, and brain function is no exception. Current research suggest that our brain works to consolidate our memories for us, deciding what it wants to keep from our short-term memories made throughout the day and committing those to long-term storage. Even napping may help your memory in the long term. So as hard as it can be in our busy lives, make getting a good rest a priority whenever you can. Surgeons who spend at least a few hours a week playing video games make one-third fewer errors in the operating room than non-gaming doctors do. Research has shown that video games can improve mental dexterity, while boosting hand-eye coordination, depth perception and pattern recognition. Gamers have better attention spans and information processing skills than non-gamers. When non-gamers agree to spend a week playing video games their visual-perception skills improve and one researcher also found that white collar professionals who play videogames are more confident and social. Meditation, or the turning of the mind inward for contemplation and relaxation, seems to help manage anxiety and depression, but also appears to improve brain function. When undergoing brain scans meditators’ neurons fire in synchrony, as opposed to them usually firing at different times. There were also signs of increased activity in the prefrontal cortex, an area associated with positive emotions, a thickening of the cerebral cortex caused by the existing neurons making more connections, and blood vessels dilating. All these factors can contribute to improved cognitive functioning. Feel free to like, comment on or share this article. What are the Most Effective Ways to Study & Learn?